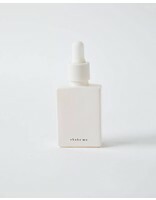 Refining face oil combines natural, non-gmo ingredients that are organic or wild crafted. Each ingredient is sourced from small suppliers who are trustworthy and discreet. We searched the world to find anti aging vitamins and oils to create a formula that is healthy and non toxic. h o l i ( o i l ) WORKS. It absorbs to brighten and hydrate. It minimizes the appearance of redness, unevenness, wrinkles, hyperpigmentation and dark spots. Replenishes the appearance of collagen and helps fight the effects of free radicals while smoothing the look of the skin. h o l i ( o i l ) gives an incredable glow and smells heavenly. h o l i ( o i l ) can be used day or evening and should be applied to clean skin before bedtime or in the morning. We suggest using four to five drops and patting evenly on your face and décolletage. 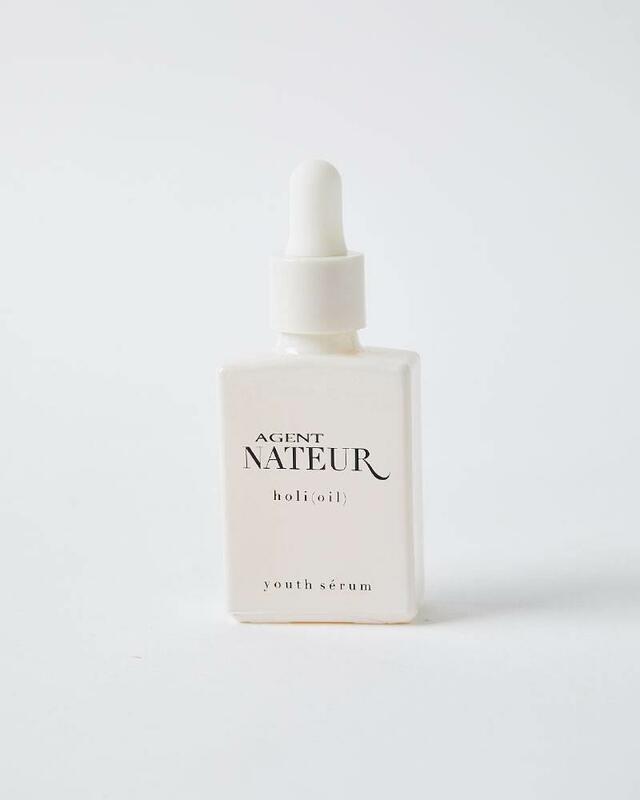 We personally love mixing Agent Nateur youth serum with Agent Nateur sunscreen and foundation in the palm of our hand. It can be worn with or without makeup. 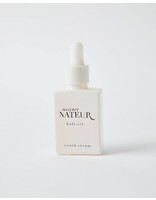 If your skin is normal to oily, we suggest using the serum in place of moisturizer. If your skin is on the dryer side, layer it with your moisturizer. A hydrating antioxidant that refines and calms the look of the skin. Helps minimize the look of redness. Fights free radicals. Maximizes the benefits of all ingredients. Contains more than 100 antioxidants, helps with free radicals, high in vitamin E, helps the appearance of age spots and discoloration, easily absorbed. High in vitamins A and C. Antioxidant. Restores the appearance of skin tone, hydrates, helps the appearance of dark spots, scars, wrinkles and fine lines. Helps the appearance of rosacea and scars. Promotes the look of smooth, calm skin. Brightens the skin, fights the effects of free radicals, improves the appearance of fine lines, wrinkles and redness.